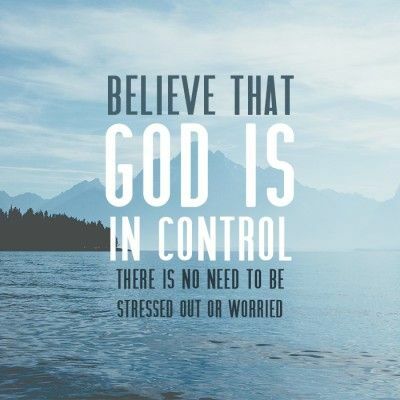 “No matter what you are facing today, Remember, God is in Control.” How wonderful is that reminder? Some of the simplest words can be the most powerful. Even the smallest remark or comment can be the most damaging, hurtful and cruel. Reading Scripture today, I noticed all throughout Proverbs it speaks well the power of words. They can build up or destroy. I pray that we all be gentle and selective with our words, think before speaking and always remember that God hears all. Let our words and thoughts be pleasing to Him. Have a blessed day!